The eleventh century outfit needs and overdress, which means I need a pattern. 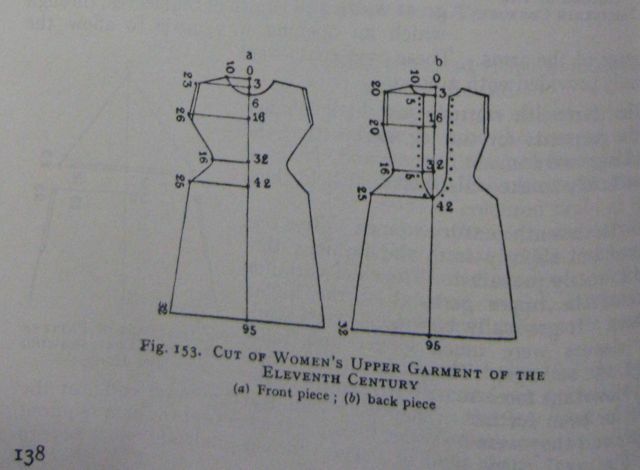 I want to make one based off a diagram from Kohler’s History of Costume, but the measurements are basically useless to me because my model is a doll. Fortunately, I have a chemise-y-tunic-y pattern already, and it’s a simple matter to alter that into the overdress pattern I want. For the record, this is Kohler's sketch of the style I'm shooting for. 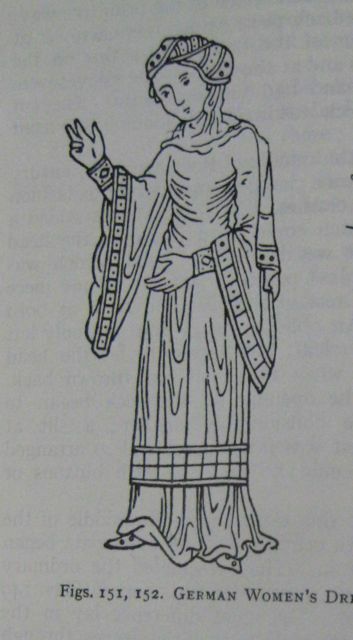 Kohler gives this diagram for a eleventh century overdress on page 138. It's fairly straight-forward, as patterns go. Ever the helpful fellow, Kohler also gave us a couple of sleeve diagrams on page 139. I like the one on the right. 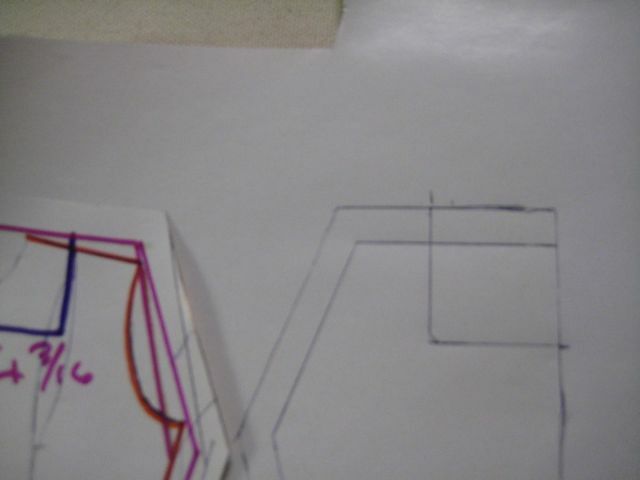 Trace off those pieces, then draw in the true sewing lines. 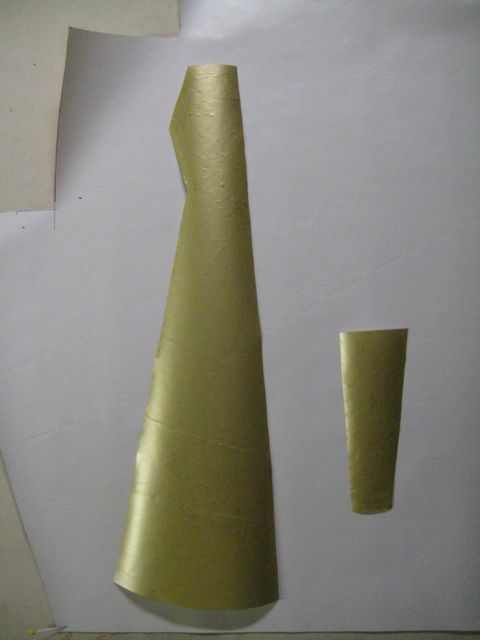 (ie, remove the seam allowances - in this case, that means I'm drawing lines 1/4" inside my outline). The first change we're making is the angle of the shoulder. 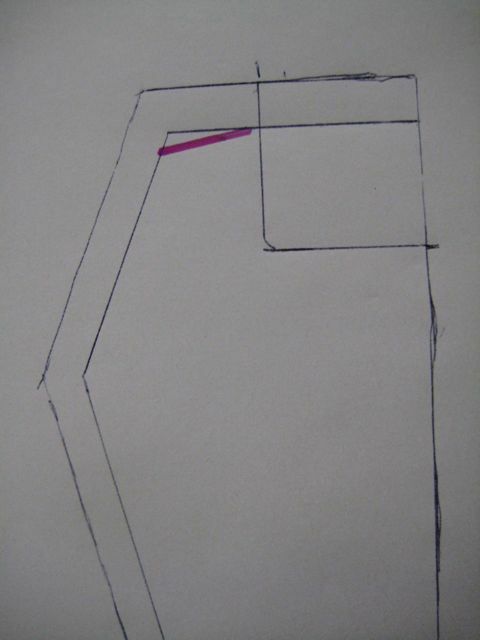 The diagram shows an angled shoulder. 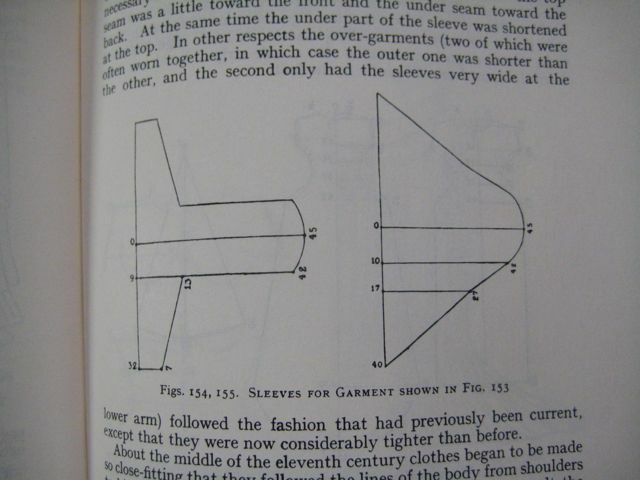 We're putting back an angle we took out of the chemise draft (left). 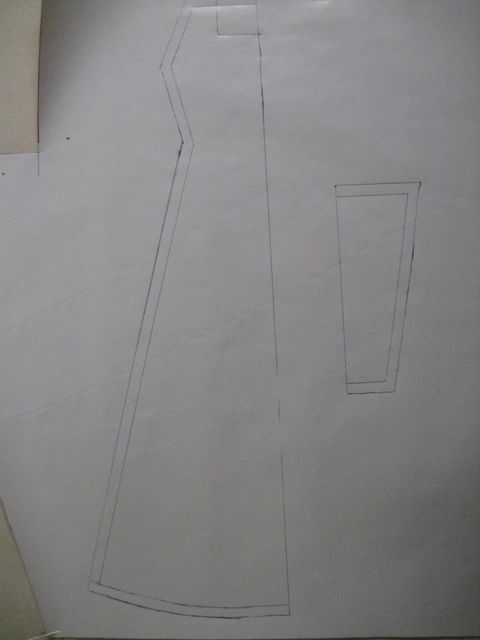 When we used a princess line pattern to draft the chemise, we automatically got an angled shoulder. We had to square it off in later steps. The fact that it’s back tells me that this pattern will want to sit more closely along the top of the shoulder. It shows a slightly better knowledge of how to fit the body nicely.